Happy Friday! 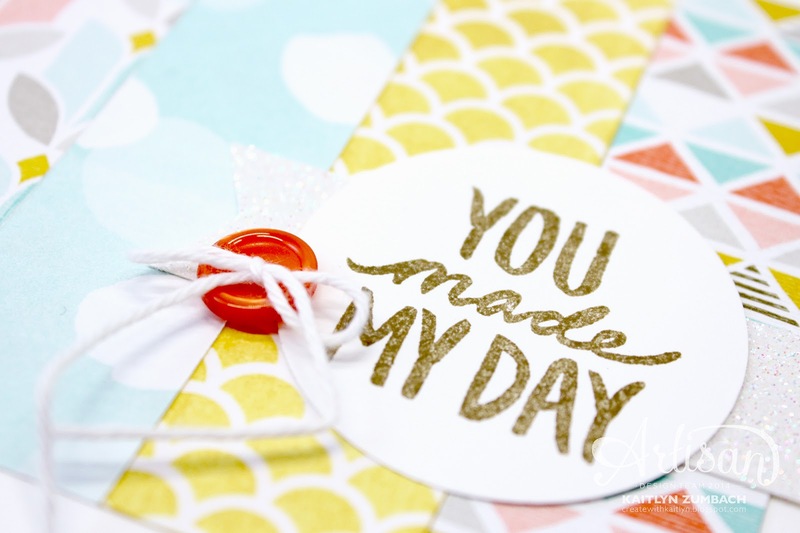 I've got a super fun card to share with you today. This card features lots of products from Sale-A-Bration, which is going to end in the next few weeks. So if you haven't taken advantage of those free items yet, be sure to do so soon! The Best Year Ever Designer Series Paper has such great patterns and colors. It instantly makes you cheerful! 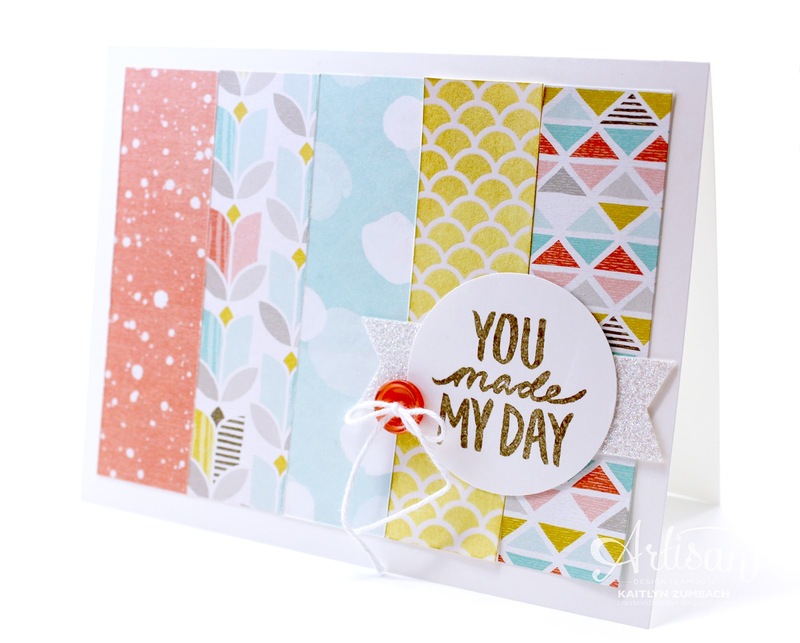 Paired with the sentiment from the Best Day Ever Stamp Set and some Dazzling Diamonds Glimmer Paper this card is nothing but happy. See that piece of Crushed Curry DSP? That is a piece of the Irresistibly Yours Specialty Designer Series Paper sponged with Crushed Curry Ink. I love this paper because you can make it work with any project you want!